mixing prints & mixing metals. again. i think i have an addiction. super look, love your pants! loving the mixed prints! so cute! Super cute! Makes me nostalgic for spring!! I followed you on Pinterest as I'm not on GFC, but if you get on bloglovin, let me know! Stay in touch pretty girl! Truly great styling. I love those bold pants. 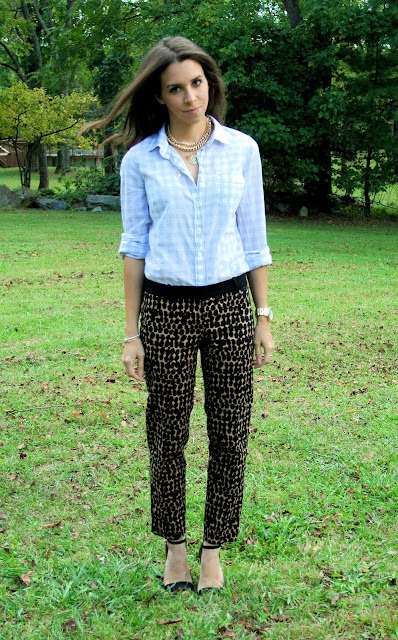 What a fun mix of prints! I just love this combo!